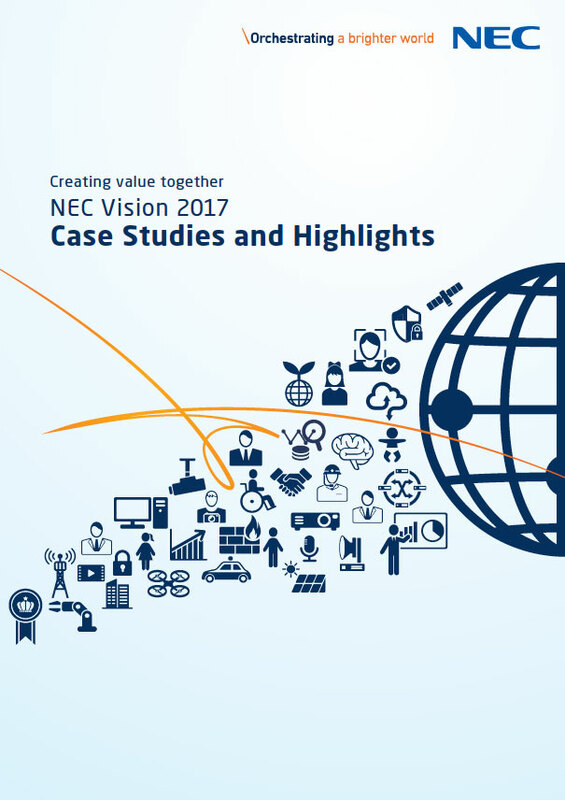 Combining innovative capability with a rich portfolio in Communications and IT, NEC has provided individuals and enterprises with solutions that cover and enable the full spectrum of business processes for new and improved ways of doing business. As an Information and Communications Technology (ICT) leader with more than 115 years of expertise, NEC has leveraged its adaptive solutions to enable individuals and enterprises across a wide spectrum of industries to achieve more flexible, secure and responsive work environments. NEC Enterprise Solutions has offices and resellers throughout the EMEA. Find the nearest partners in your area by clicking on your region in the interactive map, or by selecting it from the Region list below. The increasing diversification and globalization of our society is giving rise to a range of complex social issues that are closely intertwined. NEC is committed to helping solve these issues so that we can realize a brighter and more prosperous society for all. We are doing this by bringing the world our cutting-edge solutions that leverage our Information and Communications Technology (ICT) assets to provide our customers with the tools they need to transform their organizations. As we develop these solutions, we co-create with our customers and partners, as well as with governments, local bodies and international organizations, to devise new business models that meet the needs of the future. This booklet introduces some of the examples of how we are working with our customers to create value for society.